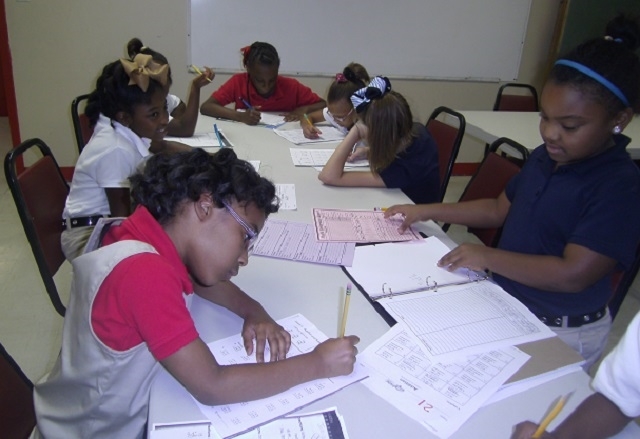 First United Methodist Church in Pineville is making a difference in the lives of area children through the “adoption” of a local elementary school and through volunteer efforts at the Pineville Youth Center, which offers an afterschool tutoring program. 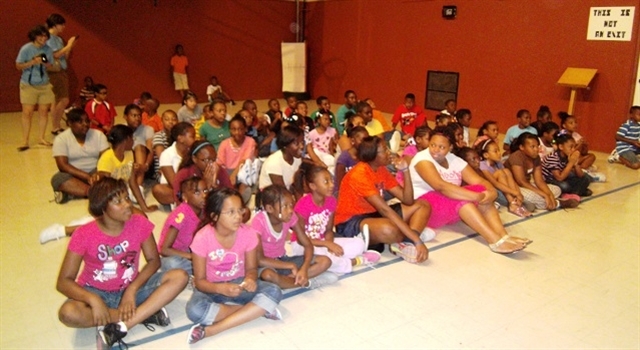 “First UMC wanted to focus our mission efforts on something that would make a real difference in our community. Through research and tapping into city resources, the church discovered that poverty is one of our community’s greatest problems. We knew that one of the most effective ways to have a long term impact on poverty is by having a positive impact on young children’s education. So, our church adopted the elementary school in our community with the greatest number of at-risk and needy children, and we adopted the youth center which serves children in need,” said Rev. Ricky Willis, pastor of First UMC. Rev. 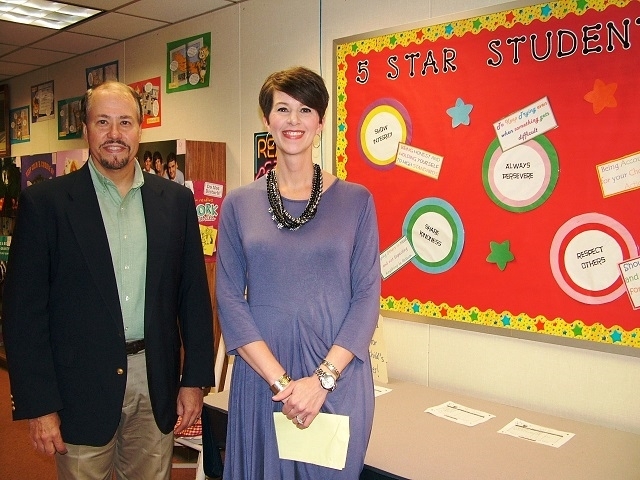 Willis is pictured with Laurie Johnson, principal at Lessie Moore Elementary, the school adopted by First UMC. As part of these ongoing relationships, the church has recruited prayer teams that pray for teachers, administrators and students throughout the year. A prayer rally is held at the beginning of the school year at the school. Work teams have painted the teacher’s lounge and are planning future projects at the school. Collection drives are held throughout the year for school supplies, school uniforms, winter coats and other items of clothing for students in need. The church provides good behavior rewards for the teachers to give out to students and snacks for testing weeks. Teachers are supported by cards, prayers, appreciation gifts, care bags and an end-of-the-year meal. “We also provide backpacks of food that are distributed by the school to needy children to take home on Fridays. Church volunteers have been trained as Kid’s Hope Mentors that meet one hour a week at the school with children who need a positive adult relationship in their life,” said Willis. In addition to efforts at the school, members of First UMC provide weekly meals for the children served at Pineville Youth Center. Church volunteers also help out as mentors and tutors for the students. Work teams complete projects at the center, as needed. The church’s Christmas Eve offering was used to provide wall cushions for the center’s gym and for computer supplies. Collections of books, school supplies, food and other needs are organized by the church.